Get a taste of dictator-ly power in a demo for Tropico 3, Kalypso Media and Haemimont Games' new take on the island nation simulation, coming next month to the Xbox 360 and PC. 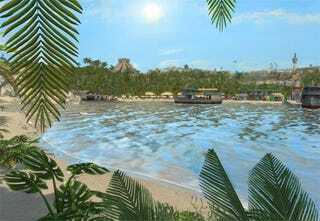 Tropico 3 is almost a re-launch for the Tropico franchise, taking the series back to its roots after the sequel went a bit off course. The demo, available now for the PC, features the opening tutorial and the first two missions from the game. In Bananas, you must convince an American conglomerate to invest in your crops, making your nation a true banana republic, while in Second Chance you are deposed and set adrift on a new island with only your most faithful followers, forced to rebuild with nothing but a handful of servants and a hunk of dry rock. The demo runs a little over a gig, and while Kalypso suggested we mirror it ourselves, we figured we'd leave that to the professionals.